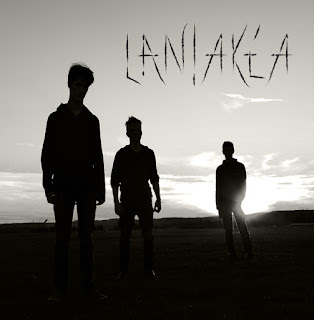 Laniakea is an experimental death metal band formed in the small village of Pujaut, near Avignon. The band was born with the desire to cross the barriers of extreme music, offering wide, clean and atmospheric passages. The trio did not put any limits in terms of musical research. After a year of composition, Laniakea decided to go to the studio in May/June 2015 and to record "At the Heart of the Tree", the first album of a long series. During the year of composition, the bassist decided to leave the project for musical reasons, "There're listening to music you love but you cannot play." The trio became a duo, continuing to compose the songs of the first album, and keeping the aggressiveness of doing something concrete, credible, emotional and extreme. After an extensive research in August 2015, Lorenzo joined the band as bassist. Let's start our interview explaining the origin of your moniker, Laniakea: as far as I know, it is a galaxy supercluster that includes also our Milky Way, am I right? Why the choice of this name, are you interested in astronomy? Laniakea : Yes you’re right, we are very inspired by the idea of infinity, freedom and no limits and the space symbolized it. In this context we compose our music, we try to liberate all our emotions, our imagination, our creativity and our feelings about our sound. We try to do something different about Metal music and its cliché. That’s why we chose the name LANIAKEA to represent our music and our ideas. However, this is the way that we want to follow. Could you tell much more about your band: when it was formed and what about the members? Did you have any previous experience, which is your background? Charles Ferec (guitar/voice): first of all the band was created by me and Clément. We’ve played about 4 years together. We did covers songs like Metallica, Lamb of God, Gojira, Immortal and many others. A day, I had the idea to make something more serious, to composed songs and to record it. And that’s how Laniakea borned in 2014 near of Avignon in a little village, Pujaut. I can say that the French scene is one of the most interesting in the world, including a lot of exciting bands belonging to the extreme scene. I am thinking of Blut Aus Nord, Deathspell Omega or Pensées Nocturnes, but also Dirge, Alcest or Les Discrets. What do you think about your country music scene and more in detail of Avignone, do you have any interesting band to recommend me? Clément Bodin (guitar/vocals): Yes in fact, the bands in France are really good, there is an underground scene that was born 20 years ago, and I see that you know the best of them! It's a scene that deserves to cross the world, and a label as Les Acteurs de l’Ombre allow that. We are really inspired by the band of this label: Regarde les Hommes Tomber or the Great Old Ones, Déluge. In Avignon, there is some band really famous are Alcest or Peste Noire. But today, the Metal in this town is dead. This is hard to found a stage where we can play, because there is no regards about that kind of music. We got the chance to know bands, near of us (geographilly speacking) that allow us to do gigs. Charles Férec: I’m totally agree with Clément. The French scene is pretty interisting. 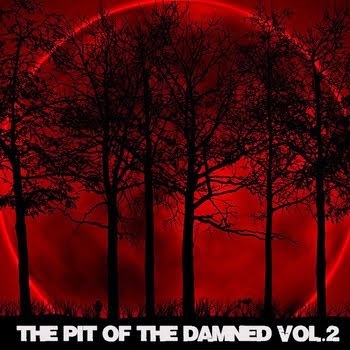 In South of France we have some great bands like All Dogmas We Hate (by the way we recorded our album in there studio, with our good friend Silver), Epilepsy, Hypno5e, Synopsys, Right to the Void, and many others! With your debut album (or should I say EP? ), 'At the Heart of the Tree', you have showed that it is possible to mix up black, death and deathcore, but also post metal: how the sound of this album was born? Which are the influences of the band? Charles Férec: I’m very inspired by French bands as we said. So our first influence is Gojira. There music really touch me, I think they have a message to hold and we want push there words far away. Hypno5e is also a great influence for me, for their clean parts for example. I love these guys, they’re great. I really like « Les Acteurs de l’Ombre » so that’s the reason why I mix Black Metal and Death Metal. I don’t think we can call our music "Deathcore" but there’s some parts that are closer to this style, you’re right! What about the lyrics of 'At the Heart of the Tree', could you tell me much more about the content of them? Who is the responsible for their writing? Clement Bodin : I’m writing the lyrics. And I do that after Charles composed the musics. We tried to express the relations between human’s activities and the nature. 'At the Heart of the Tree' is a concept album. For example, "Away and Awake" talks about a person who goes far from the city, of his daily life, to join a forgotten nature, the forest, the heart of the tree. Also, we showed the beauty of the impressive space, just above us, with the track "Pillars of the Creation" for example (an instrumental track). Finally, we express the idea of rebirth, of the cycle of the nature, as "Le Vent Sous les Cendres" ("The Wind Under Ashes" for English people). What about the feedbacks you got until now on your 'At the Heart of the Tree'? Laniakea: Good question! We are surprised of the reactions from people about 'At the Heart of the Tree'. Many bands in our region are supporting us. We’re very greatful! Just a curiosity: why the band is not listed on www.metal-archives.com? Clément Bodin: I completely forgot this website! Really, he still working ? Lorenzo Vanossi (bass): With Charles, we don’t know that website, I don’t know the existence of a « band dictionnary ». Today, tools as Facebook, Bandcamp, allow to promote us easily, they are really effective. Also metal-archives is still interesting, I can guarantee. Now, a question that falls outside the music: last month your country was victim of a terroristic attack by ISIS, is your daily life changed in someway? What about your feeling about those terrible events and about the political committment by your president Hollande against ISIS? Laniakea: For us, our life hasn’t changed, in fact, we got the conscience of the danger, before that, for our generation, France hasn’t been striked like that. All French people was shocked by that ISIS’s attack, us too. We have a lot of friends and families in Paris, we were really afraid for them. In France, a lot of gigs have been cancelled, we did a concert just one week after the event, there were only 5 or 6 people in the audience. For the political committment, increase the security is a good idea, but it isn’t enough. We have to be prepared to a hypothetical attack, and know what to do. Come back to music: do you have the chance to play live? How is a Laniakea show? Charles Férec: Of course! We put a lot of energy in our gigs, they're really extreme for us! We try to play really clean and to have a good sound (as every band I think!) but it can be a little bit different because we haven't a drummer. We are actually playing with a programmed drumming. We are looking for a drummer but it's very difficult to find a good one in our region. But, there's one who really wants to play with us, currently we are talking about it with this guy and he's learning our songs. We hope it will works!! Finally, I am used to ask for the "Desert Island List": three books, three records and three movies you can’t live without, what about yours? Charles Férec: I don’t really read so I can't answer to this question to be honest! Anyway my top three records are 'The Way of All Flesh' by Gojira, 'Discovery' by Daft Punk and 'Acid Mist Tomorrow' by Hypno5e! For the movies it must be 'Star Wars', I’m a huge fan since I was 6 years old! 'Django Unchained' by Q.Tarantino, I love that story. And probably 'Océan' by Jacques Perrins. It’s a beautiful movie, the pictures are majestic. The ocean fascinates me. Clément Bodin: Hard question! About three books, I think that 'Crime and Punishment' by Dostoievski is the the best book that I ever read. But I don’t speak more about it! In the second and third rank, 'Wuthering Heights' by Emily Bronte and 'The War of the Worlds' by HG Wells. So, I love cinema, I can’t choose the three best movie, but at random, 'Elephant Man' by David Lynch, 'Stalker' by Andrei Tarkovski and 'Funny Games' by Michael Haneke. Finally, 'Hoagascht' by Lunar Aurora, 'Blood in Our Wells' by Drudkh and 'Tekeli-li' by the Great Old Ones are three of my favorites records. Lorenzo Vanossi: I haven’t title now but I like documentary books about astronomy, psychology, computer science or cook for example! My favourite records are 'Dim' by The Gazette, 'Pandora' by SiM, 'Discovery' by Daft Punk! My top two movies are 'Brazil' by Terry Gilliam and 'Pan’s Labyrinth' by Guillermo del Toro. 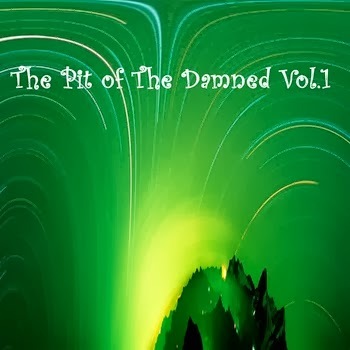 Thanks a lot guys, would you add much more to the readers of The Pit of the Damned? Yeah of course! You guys have to listen the French scene which is pretty interesting. We have a lot of bands, a lot of labels even not enough popular. You can like our Facebook page and let us known what you think about it! Thank a lot Pit of the Damned for this interview. Hope we’ll see you soon guys!